We say and hear it every single year, but this year was a bit different and it really did just fly by! 2014 was a blur of awesomeness with the official launch of Slam’d Mag and it came and went before we could even catch our breath. For 2014 we wanted to do something special to remember and commemorate all of the amazing rides and people that we were fortunate enough to capture for the inaugural year of Slam’d Magazine. Looking back on our first year, it’s quite amazing to see the plethora of high-quality rides and photos from around the globe that we were able to create and share over the last six months. When we first set out to bring you a digital magazine chock full of all of the baddest rides worldwide, regardless of genre, we certainly had our work cut out for us, but with a well laid plan and a world-class team we exceeded even our own expectations! 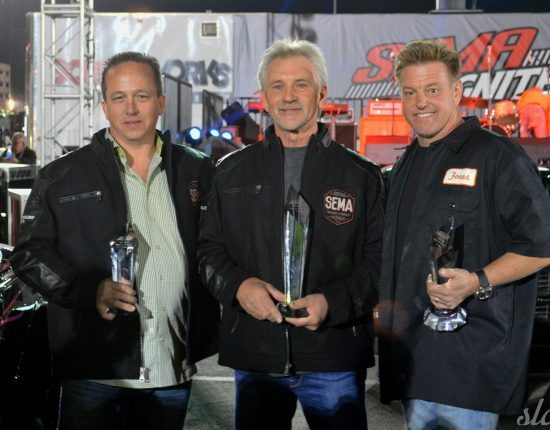 The four categories our staff chose for the 2014 End of the Year (EOTY) Slam’d Mag awards were, Truck of the Year, Car of the Year, Rod & Custom of the Year, and Show of the Year. We also had a vote to honor our staff Photographers and chose a Slam’d Photographer of the Year (The Top 14 Photos from 2014 can be seen HERE). When I wanted to build the lowest Audi a few years back, THIS is what I had in mind. Unfortunately the dealership didn’t have the car/color combo I was after at the time and in true car guy fashion I just picked from what was on the lot that day, but it all worked out and was a fun build none-the-less. However, my point was that there just aren’t that many cars out there that I wouldn’t change a single thing on if it were sitting in my driveway, but the KEG Media A5 is one of them. 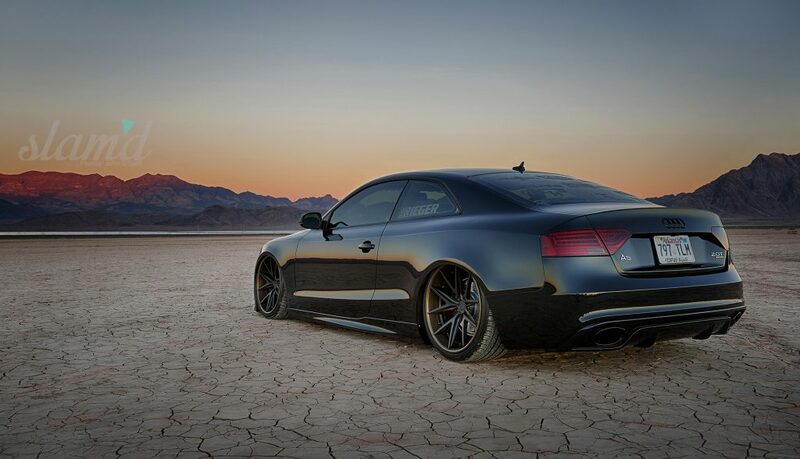 Everything about this build just exudes class; from the deep gloss black finish to the subtle bronze accents, the trunk setup built to look like an old moonshine distillery (by Dorbritz Designs and Garage Werks), and the authentic German Rieger RS5 kit seals the deal for me. This is exactly what a Slam’d Audi should look like, job well done KEG Media and team! and rounding out the car’s elegant design is the Niche concave wheel combo paired with the ultimate Rieger Tuning Germany RS5 body kit. 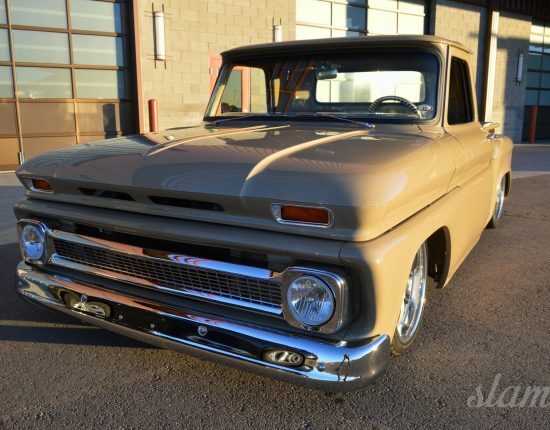 What more could you want from a daily driver, and show vehicle all rolled into one? If the Devil is in the details then he resides in Juan’s Chrysler 300C. Everything from the Magnum front end to the wrapped trunk has been addressed in true show car form, but here’s the kicker – it’s not a trailer queen, it actually gets driven. For that, Juan scored a few extra points from me and gets my vote for the Slam’d 2014 Car of the Year. This car is just insanely detailed. From the full show paint and interior to the perfectly polished motor and wheels. The best part? Juan is not afraid to drive this sucker. I have personally seen it at shows all the way up and down the West Coast, Vegas, and Phoenix and anyone with a show car or truck on big billet wheels knows how hard that can be at times. We just love seeing high caliber rides clock some miles, that’s what it’s all about! My pick for Car of the Year, not just because of the extreme amounts of detail Juan put into the car but for the fact he drives this car to shows both near and far. That’s right, no trailer queen here. 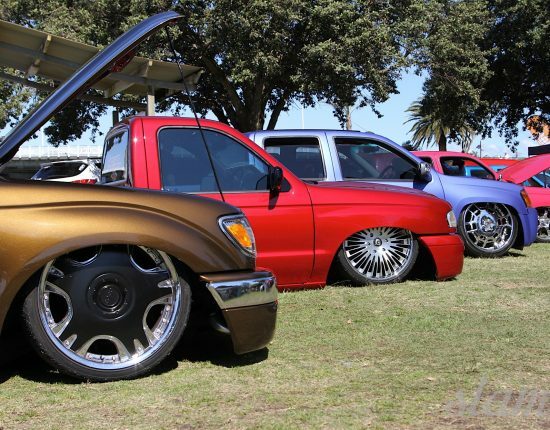 There is no doubt that Juan’s car is the ultimate in Slam’d and seeing this car in person is the real icing on the cake! Anyone that’s heard the name Aaron Hunt knows that he has a long history of building amazing looking vehicles by using the less is more approach. That’s exactly what his Lowform Audi A4 build brings to the table. This build is simple and clean, but super OCD in the details and components chosen. There is definitely a method to his madness and he didn’t disappoint with this beautiful ride. When we build cars sometimes we go so extreme that we are afraid to drive it, but that’s not the case for Cliff Brown’s 1967 VW Beetle. The VW Beetle is one of those cars that everyone appreciates, you always notice them at a show and something pulls you to go check them out and see what has been done. The color and stance of Cliff’s build are perfect and since Cliff tubbed the front and rear he is now able to drive while only being a 1/4-inch off the ground. Cliff wanted something he could always enjoy as a daily driver and he successfully built a ride that will create lasting memories with his family. Cliff is definitely Slam’d Approved and gets my vote for Car of the Year. My vote for the Slam’d 2014 Car of the Year would have to be Brownbag’s ’67 Beetle. It’s always nice to see something old school slammed on the ground but properly restored to give it the factory look despite all of the heavy modifications, and Cliff pulled it off nicely! 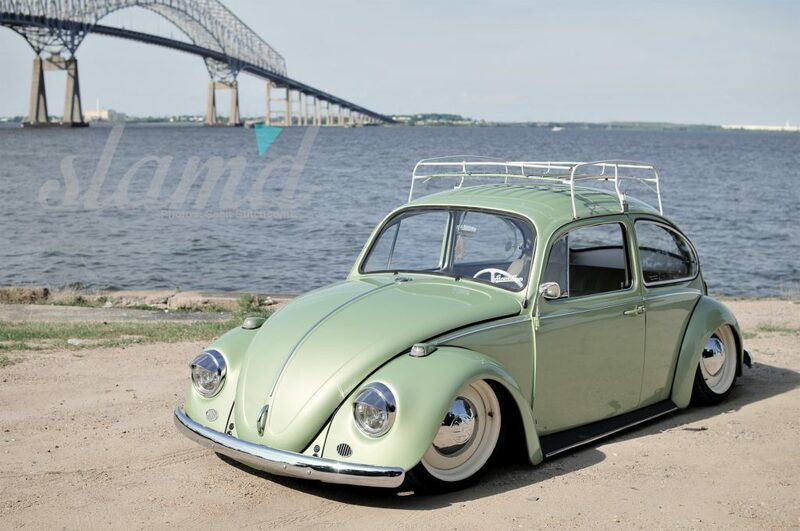 An old school VW is on my list, and this one is damn near perfect. Clifton Brown’s ’67 Type 1 is a beautiful build, that also showcases an amazing stance and is actually driven, which is why he takes my vote for Car of the Year. Inside and out, the attention to detail Clifton shows on this Volkswagen is simply mind-blowing. His bug is proof that a classic look is timeless and there is no need to go wild on cosmetics just to get attention because quality will always persevere. I also had the chance to check out the KEG Media Audi in person at SEMA this year and the word flawless is the first that comes to mind. Insanely clean with so much class, I wish this was my daily driver. The trunk display setup to look like an old fashion moonshine distillery (built by Dorbritz Designs and Garage Werks) is the icing on the cake and I just love the subtle colors in the wheels which pair perfectly with everything else on the car. I have to say it again, class, this car exerts so much of it, and it’s just so easy on the eyes. 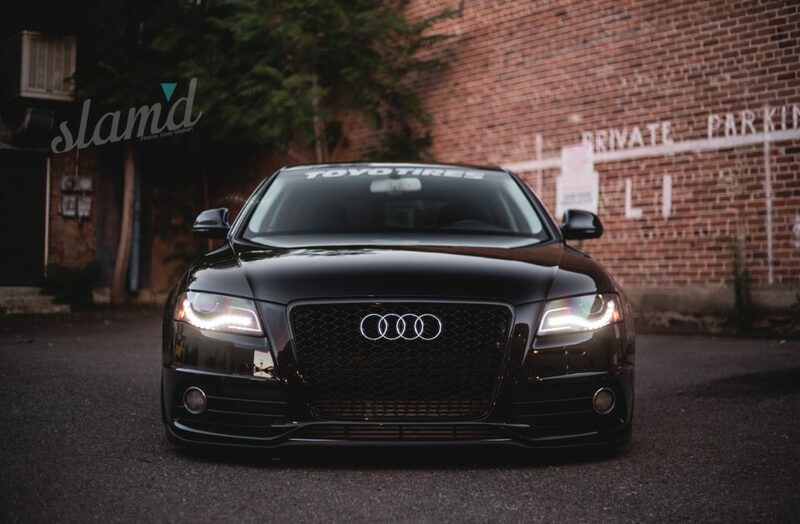 Lastly, if I looked in my rearview mirror and seen this A5 coming up on me, I would be probably be scared with such a mean looking front end – this car is perfection. If you were involved in a accident, having a vehicle like this would make life difficult when negotiating car accident settlement as it looks so good and expensive costing allot on someone’s insurance! Being a lover of all things automotive from trucks to imports and everything in between, this build really hit the nail on the head for me. Perfect execution in a way that doesn’t scream at you, rather it’s the perfect combination of highly calculated subtle mods. I’m a massive fan of the “murdered look” and was beginning to think the fad had died off a bit. 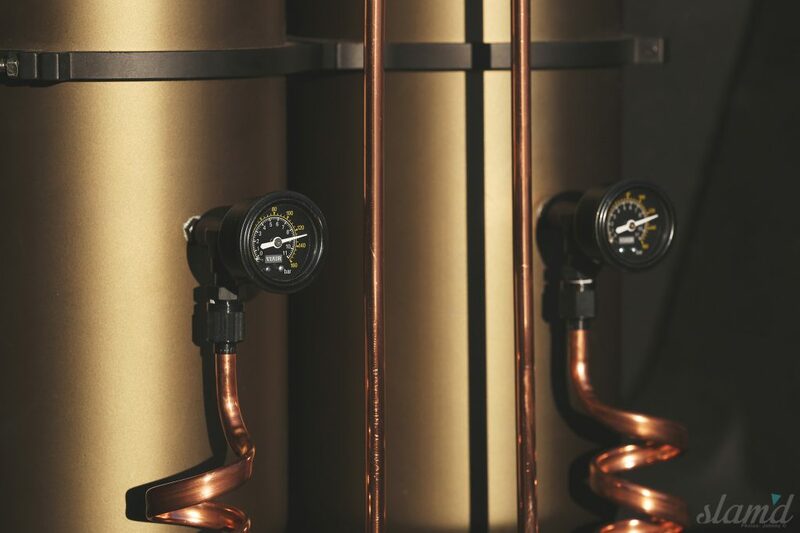 Taking it a step further though by adding subtle highlights like the bronze finish on the barrels of the three-piece Niche Misanos really puts this way above fad status and up onto a pedestal for me. 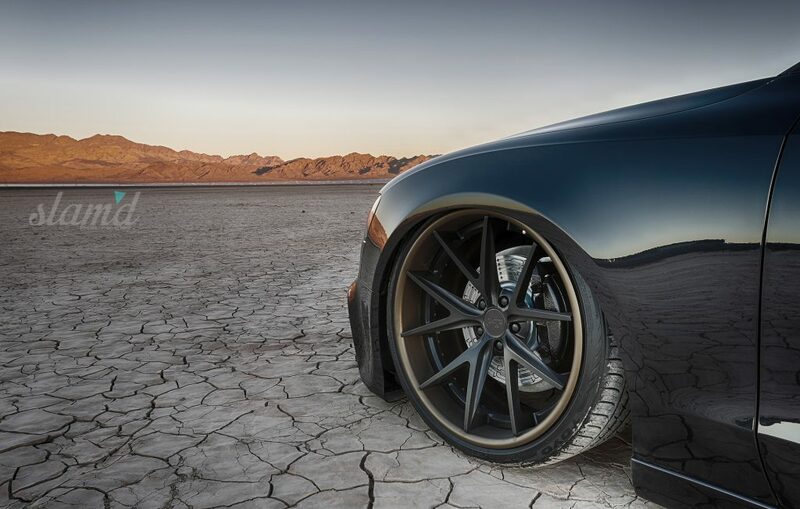 The stance is amazing and sets a very menacing tone when coupled with the mirror finish black paint and awesome backdrop that is the saltflats of Nevada. Could definitely see myself driving something like this one day if the bank account will afford it. Speaking of fantastic cars, my friend recently had a car accident and was in desperate need of a lawyer, he decided to look into services similar to Car accident lawyer in Florence, SC. In the end, he found a fantastic lawyer and got the settlement he deserved. It is always worth getting the right lawyer for your location because there are legal variations between locations. If you are still struggling to find a lawyer then don’t worry there are loads of other lawyers that you could use. It all depends on where you live. For example, if you live in New Jersey then you could check out a law firm like Davis, Saperstein & Salomon (you can Learn More about them here). They specialise in car accident claims (as well as other things as well). So hopefully they could help you get the compensation that you deserve after your car accident. 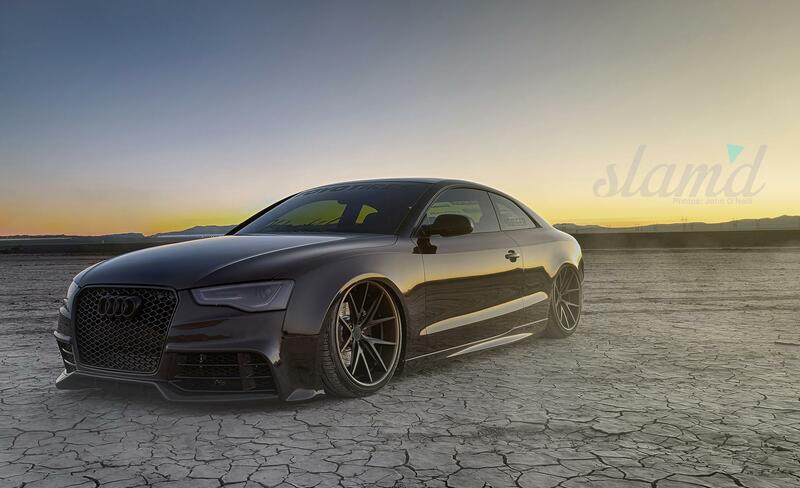 Our winner for the 2014 Slam’d Mag Car of the Year goes to DISTILD; Keg Media’s Audi A5! Well deserved, congrats to Robbie Bryant, The KEG Media crew, Dorbritz Designs, Garage Werks, Complete Customs, and everyone who had a hand in bringing this truly one-of-a-kind ride to life!